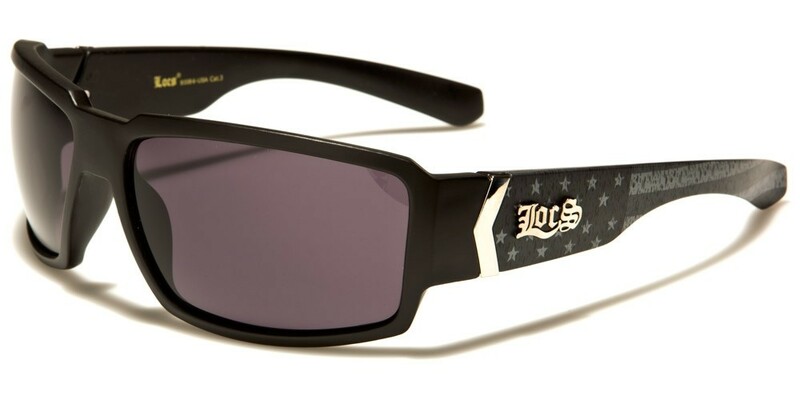 Patriots will just love this pair of LOCS USA flag men's sunglasses with the subtle stars and stripes on the chunky arms. The stylish frame will look fantastic with both casual and formal clothing and will ensure a look of class and sophistication for the wearer. With UV400 technology, these sunglasses offer full protection against the sun's harmful UV rays. Sold in wholesale packages of 12 pairs.